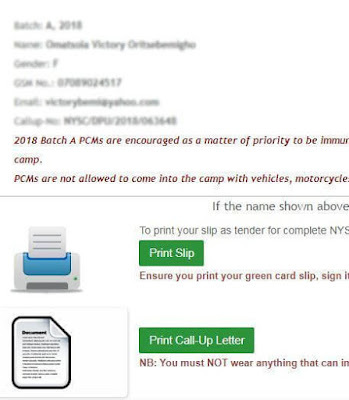 Welcome!, In this tutorial, I will show you how will be able to check nysc call up letter or reprint it, if by one means or the other you misplace the first call up letter printed out for you. 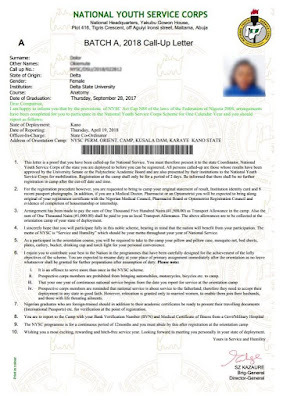 Software/App: PDF Reader to view the nysc call up letter after downloading. 2. On the login portal page, type in the correct email address and password you used to signup during nysc registration. 3. Click on the resume botton to initiate login. 4. Scroll down and click on the green button "Print Call Up Letter"
5. Wait for the pdf file to load, download and view it using pdf reader. 6. Print a copy of it in colour. 7. Click on logout when done. Thing to note after you have check or print out your nysc call up letter. Ensure you print your green card slip, sign it and bring it to camp. It is compulsory for registration in camp. You must NOT wear anything that can impede the capture of your fingerprints in camp e.g Laali ink etc. Identity Card from Institution of graduation. i. 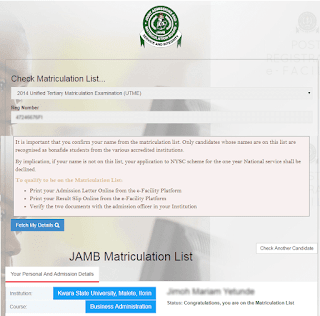 Foreign graduates should bring For verification, original copies Of ALL their uploaded credentials And travel documents including International passport. Note : Above Is for your information And necessary action.